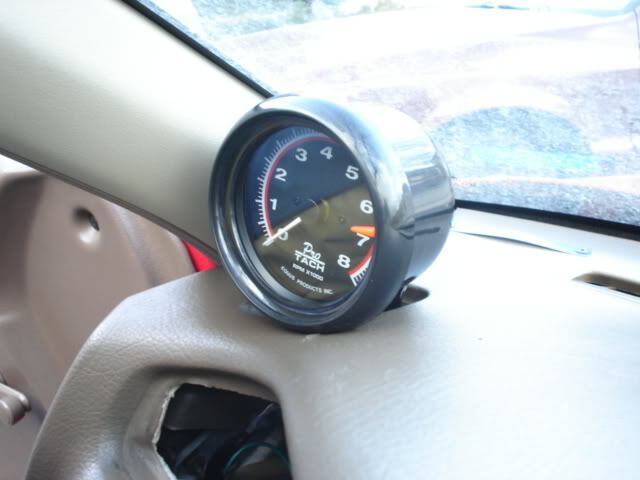 Here is the 'how- to' ( for an EG) with pictures on how to properly install your tachometer, and at the same time change your cluster lighting. Make sure all the wire connections that you make are sodered and put electrical tape over them. 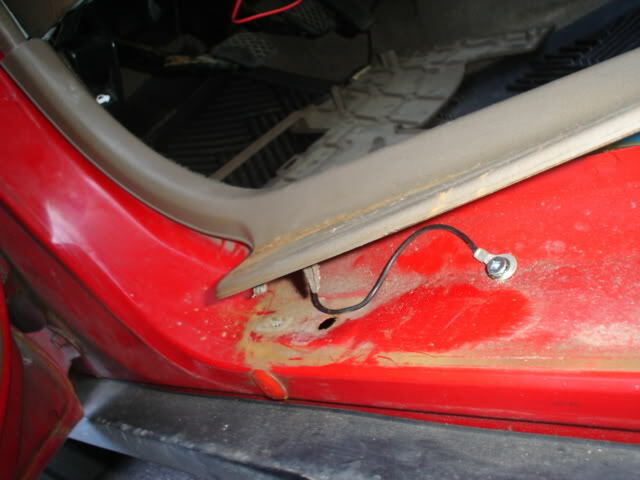 1) Take out the large plastic trim piece around your gauge cluster. There are two small screws on the top, and 5 clips from the bottom, be careful because it breaks easy....on the pic it is shown where these sukers are. 2) It said to screw in the tach to your dashboard, but depending on your model, you might be able to stick it in that little vent tube in the corner. mine sits snugly in place. 3) Run the wires out of the vent and into the bottom around the fuse box. Keep the illumination wire separate and leave it at the top. 6) illumination wire - either from cluster control harness or clock They say to connect it to the red wire coming out of the harness from the thing where you control how bright you want your panel lights to be. 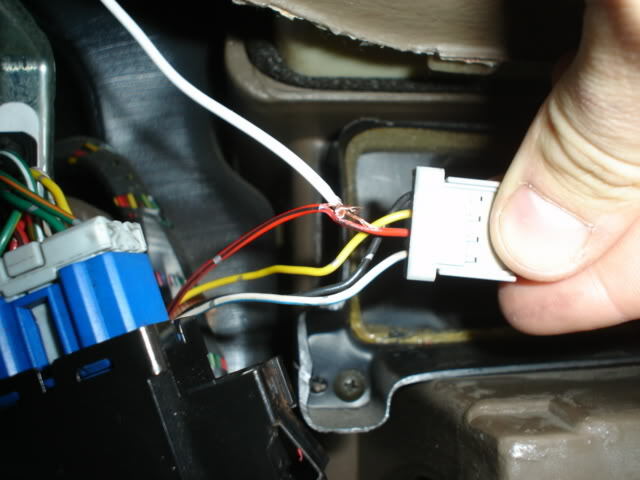 This didn't work for me so i spliced into the red wire from the clock harness on my dash. You will need 5 #74 (whatever colour bubls you want) i got my amber ones from Parts Source. Replace all the bulbs that are circled in the picture. I only changed the yellow circled ones because i coudn't find amber #24, and #74 bulbs will not fit in the hole. 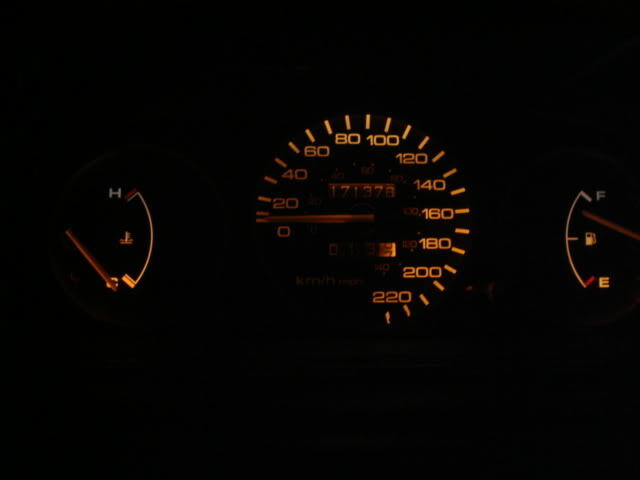 I would of gotten an Si cluster...factory tach FTW. anyone know if you can change ef/ed cluster/climate control bulbs like this too? seems really easy. I personaly would rather not spend $80 - $100 on a stock Si cluster if I can spend half that and have a great aftermarket gauge!? cool.. well i dont really know why i asked cuz i like mine the way it is.. but i like the led lights people put in instead. i just wanted something brighter. I hope you soldered and taped off all of those splices after. Useful DIY though. Thanks! thought it might help! ya i did soder all of them + tape, I state that you should do it at the beginning. Then you should do a DIY on some sick underbody lights lol (just kidding, they're gay) But thumbs up for another 4 dr.
EK cluster (w/ tach) into EK hatch CX (w/o tach b4)?